Bialetti Moka Express Espresso Coffee Maker 6 cups is the original, the classic 6-edged Moka Express espresso coffee maker from legendary Bialetti. The espresso coffee maker is further developed through the decades and the quality is undoubtedly the highest, in terms of both design and functionality. 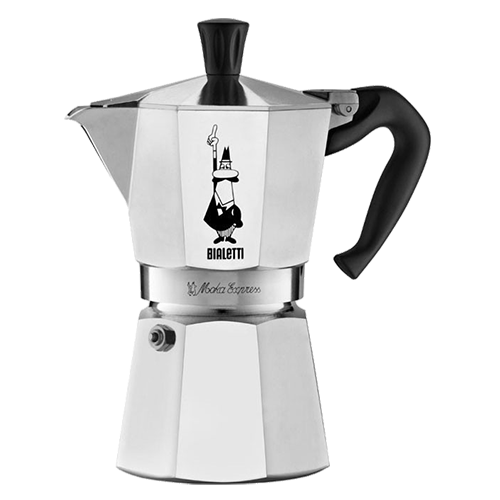 Bialetti Moka Express can be used on all stoves except induction stoves, if you have such we recommend Bialetti Venus Elegance.